Nature, as captured in the Breathe Austria pavilion in Milan, not only has a soothing effect. It is also a major source of inspiration for musicians and composers. 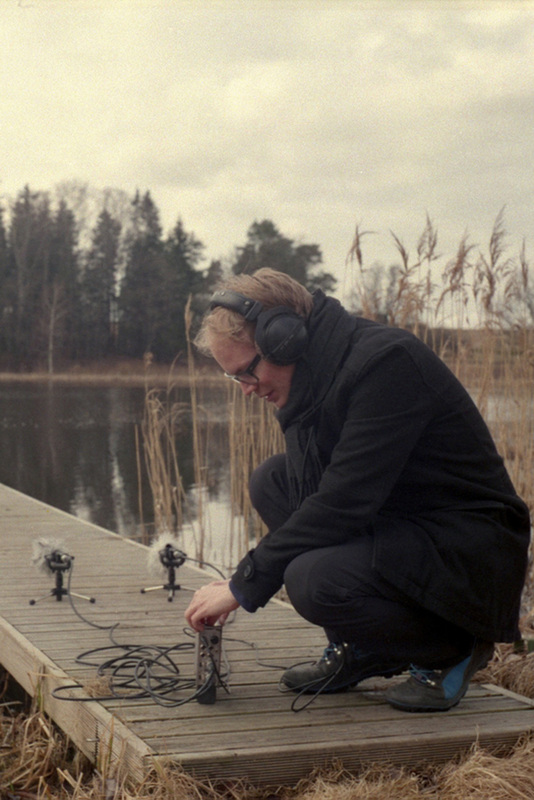 Among them: Austrian sound artist Richard Eigner, who is taking this idea a step further. He puts microphones into the water, sets the first snowflakes of the winter to music or the wind blowing through electric fences. Although a passionate hiker, it has only been recently, in the course of a professional project, that he discovered nature as a musical inspiration for himself. For Sounds Like Nature he visited Austria’s national parks from the Hohe Tauern massif in Western Austria to Seewinkel in the country’s East, exploring their diversity and beauty from an acoustic perspective. The result is a wonderful acoustic fairy tale about eagles, mountains, rivers, lizards, lynx and everything else that lives and breathes in the Austrian wilderness, far away from human interference. We meet Richard to talk about his favourite sound in the woods and why the universe is always one step ahead of us when it comes to composing music. As a musician, how does sound touch you? I would describe it as enthusiasm and excitement about having discovered something new. What’s nice about the things that come by nature is that they constantly change without me doing anything. Like the wind is perpetually changing or each snowflake falling in its very own particular way. This is why you can listen to such things for a long time. Nature creates this constant suspense that would probably be hard to create otherwise. I love sounds coming from the water. Somehow they are particularly intriguing to me. Only when I record these I really get to know their rhythmic patterns. Like when you move the microphone somewhere else you get a completely different sound. Your sounds of nature makes one think of Gustav Mahler, the composer who integrated nature into his symphonies as well. He once said that one “is an instrument on which the universe is playing.” Do you have a philosophy behind your creativity? I recently stumbled upon an artist/programmer who found a way to change pitches in a very high quality and retune the single tones of a polyphonic piece of music in relation to each other. This means, for example, that he can isolate and modify a single guitar chord. And this guy said that music, in its non-material form of being, exists even before we hear it. When we hear chords we perceive a certain constellation of intervals, which are numbers really, that already exist in the universe. And we are able to make them heard by means of sound waves – or, as we know it, music. The thought that the essence of this music existed before the sound waves is very captivating to me. Personally, though, I try to think as little as possible, and rather do. Your favourite place in Austria? Well, there are several… The Große Pyhrgas mountain near Spital am Pyhrn. The region around Lake Traunsee is very beautiful, just as the lakes Millstätter See and Weissensee. Also, I really liked the Gesäuse range in Styria. That was my favourite place for the Sounds Like Nature project. It is a really impressive region. As far as I know, the name Gesäuse originates in the “rushing” or “swishing” of the river Enns. I think it’s very interesting that it was named after an acoustic impression. What kind of food couldn’t you live without? Your favourite sound when you think of a forest? The woodpecker. Generally one of the best sounds. Forests have a very characteristic sound: The reverberation creates a spatiality that never ceases to fascinate me.